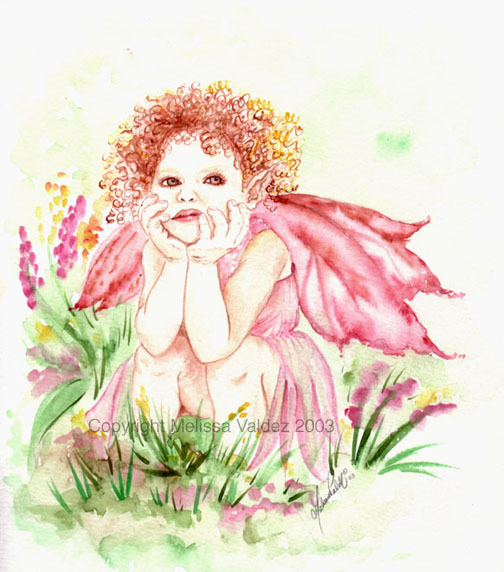 This fairy is one I like alot because she is trollish, sneaky yet very sweet looking. She looks like she is trying to conjure up something. Very mischievous looking. I Like the firery red and pinks in this picture. The hair is crazy and wild like the eyes but yet she captures you for a second with her sweet yet luring eyes.